Go beyond the ordinary with Nikkor 58mm, a lens designed to excel in low-light and nighttime applications but with characteristics you'll enjoy for so much more. Its fast f/1.4 maximum aperture produces outstanding evenly lit images with edge-to-edge sharpness virtually no sagittal coma or light falloff. Its unique design and rounded 9-blade diaphragm produce stunning bokeh and depth of field control from f/1.4 to infinity equally useful in daytime portraits and nighttime cityscapes. Whether you're shooting photos or HD video, FX or DX-format, AF-S NIKKOR 58mm f/1.4G offers thrilling new capabilities and inspiration. When shooting photos or video in low light especially at night you often want your lens aperture wide open. With many lenses, though, shooting at maximum aperture can cause a slight distortion at the edge of your frame points of light render as diamond-shaped flares. 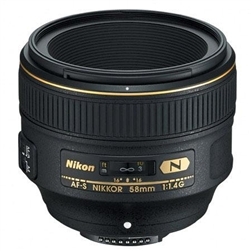 The AF-S NIKKOR 58mm f/1.4G is specially designed to combat this distortion while providing even brightness across the frame. Capture sharp, evenly lit photos and videos, edge to edge. The AF-S NIKKOR 58mm f/1.4G adds a dramatic sense of depth to your compositions both at short distances as well as longdistance landscapes. When shooting stills of a close subject, the AF-S NIKKOR 58mm f/1.4G can achieve beautiful bokeh with soft, natural edges that diminishes smoothly away from your focal point. When recording HD video, use these outstanding bokeh characteristics for interesting smooth focusing transitions and drawing attention to your subject. Paying homage to the acclaimed Noct Nikkor 58mm f/1.2, the 58mm focal length falls in the sweet spot between a standard lens (50mm) and a medium telephoto lens (85mm). On an FX-format D-SLR, it offers a natural perspective with just enough telephoto characteristic to control depth of field. On a DX-format D-SLR, its 87mm equivalent perspective is ideal for portraits and other medium telephoto uses. 58mm lens with exciting capabilities: Designed to excel in low-light and nighttime applications, but equally capable for everyday photography and HD video recording. Virtually no sagittal coma flare: Renders sharp, crisp photos and HD videos without the occurence of sagittal coma flare points of light becoming diamond-shaped flares at the edges of the frame when shooting at wide apertures, especially at night. 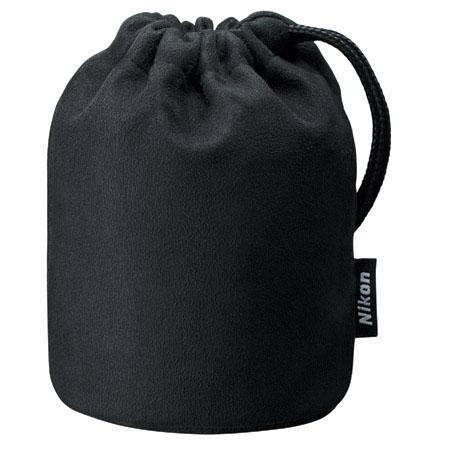 Minimal light falloff: Maintain maximum contrast for vibrant, evenly lit photos and HD videos, day or night. Flattering: Flattering, versatile 58mm focal length (87mm equivalent on DX-format D-SLRs) that pays homage to the acclaimed Noct Nikkor 58mm f/1.2 lens. 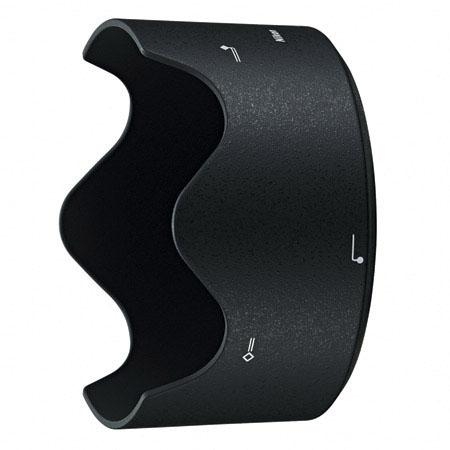 9 Blade aperture: 9 rounded-blade aperture for outstanding bokeh characteristics and enhanced depth of field control.